"Let us turn our faces towards Asia," exhorted Lenin when the long-awaited revolution in Europe failed to materialize in the 1920s. "The East will help us conquer the West." 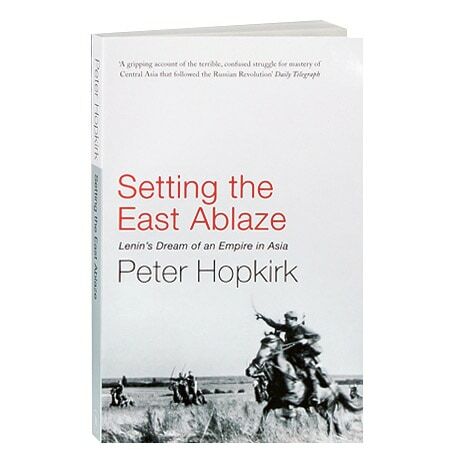 In this follow-up to The Great Game and On Secret Service East of Constantinople, Peter Hopkirk relates the story of the Bolshevik attempt to set the East ablaze with the gospel of Marxism. Lenin's dream was to "liberate" the whole of Asia, but his starting point was British India, and a shadowy undeclared war followed. Among the players in this new Great Game were British spies, Communist revolutionaries, Muslim visionaries, and Chinese warlords, as well as a White Russian baron who favored roasting his Bolshevik captives alive.